Yes! I do work for the perfect company, have the perfect job, and the perfect blog title. But I do want to let you know it did not all start at moda. Okay back to creative writing class. The first day of 7th grade we were given an assignment due the following day. We were to stand up in front of the class and introduce yourself in a “creative way”. We could write the “speech” down but no bigger than an index card. Now this was sometime in the 1970’s and hoping on the Internet was not an option. first project for the year. I don’t know if the teacher knew I was quite so “crafty”. I didn’t even to explain why I have two s’s in my name but that did not effect my grade. I bought it. Weeks went by. I received a note saying I had a package at the post office from China. Geez Louise!, China? 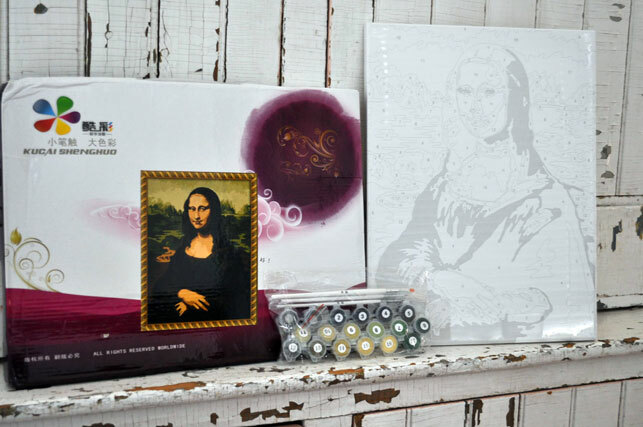 Low and behold it was a mona lisa paint by number kit. 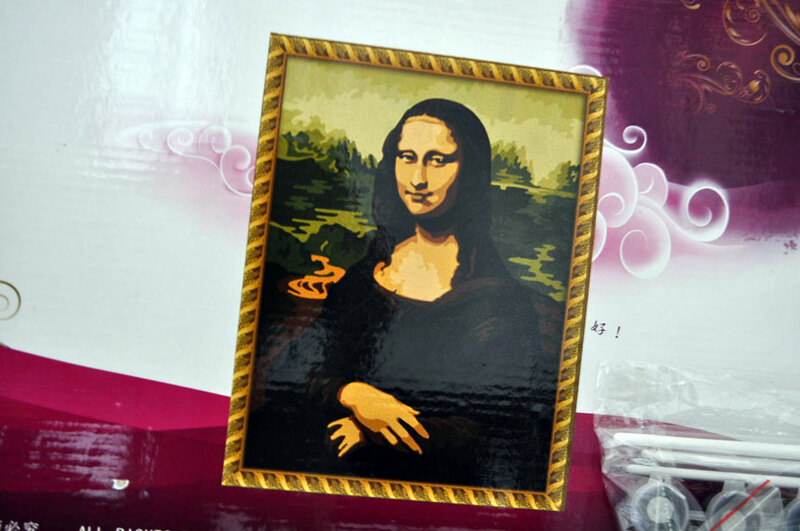 I thought I was buying a paint by number that was already done. little to “creepy” as a blonde. thought it was a perfect nickname for my perfect job. I can’t resist taking pictures of moda lisa anytime I see one. A shout out to Mrs. Montgomery because I am sure she never knew the “creative writing” project she assigned would stick with me over 30 odd years later. Ok, first off can I confess that when I spotted you at the Houston quilt festival I nudged my best friend and said "there's Moda Lissa!!!" Hope you don't mind getting called by your "stage name"! You are too cute! Alas, I was 5'9" by 7th grade, so I COMPLETELY feel your pain. I even had boys find me after high school and exclaim "I'm FINALLY taller than you!" All the boys used to call me April O'Neil because the Teenage Mutant Ninja Turtles were BIG at the time. I wasn't such a fan of the nickname, so I let it die. 😉 Cheers to you on your A+! That's pretty creative, love the hat. Holly's a genius right? Just like you! Hahah!! I refer to you as 'Moda Lissa' too! Love it! You are just too cute! I just love this story!!!! Thanks for sharing! 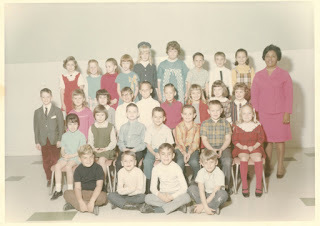 Fun post…even more fun because I have an elementary school class picture of me wearing a bonnet. My Mom said she just made it out of left over fabric from the dress and just intended it for dress-ups, but that I insisted on wearing it in the picture. Isn't it funny how these elementary school things stay with us?! Hoorayy for tall women! By the 8th grade I was 5'9. Thank you for sharing! And paint by numbers – WOW you have WAYYY more patience than me! I recieved a package from you once (thanks!). I saw the return address, your real one, and immediatley said: That's Moda Lissa! I embarassed myself (luckily no one was around!). It's perfect! I look forward to the new header. So yep, you were born this clever. I knew it! Yarn on an encyclopedia picture? Sweet. Oh how cool to have this insight! My 6 year old is already over 4 ft tall so I'm guessing she's gonna have a slight height issue herself…self esteem, self esteem 🙂 I really like the Moda Lissa name and think the story behind it makes it all the more special. Thank you for sharing! Looking forward to seeing your new header! Thanks for sharing your stories! Loved your story. Looking forward to seeing your new creation! Oh Lissa, I see you at work and think Moda Lissa! I had the opposite problem! I was always the shortest one in my class and people thought I was younger than I was. (Oh, to have the same problem now!!!!) I am now fully grown and only 5'1 3/4". I just call myself 5'2" and nobody notices the missing 1/4"! What a cute story – so creative from an early age! Cute , cute, cute! one thing about being tall is that people HAVE to look up to you! Before my dear husband, was my dear husband – we were at my mom and dad's, looking at early school pictures. My soon-to-be husband asked,"Why are you standing up and everybody else is sitting down?" Guess what…I WASN'T standing up – just WAY taller than everyone else! and yes, I still married him! LOve your new header! what a great story!!!! Love it! Yellow yarn on an encyclopedia pic… classic! love the new header.